The Riverside Bangkok neighborhood refers to the banks of the Chao Phraya river running between Phra Athit and Asiatique. 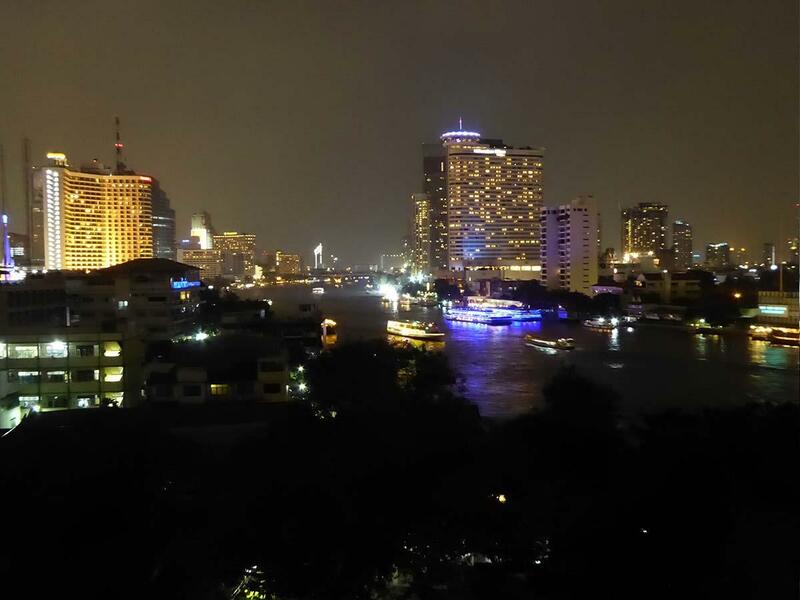 The riverside area is home to some of Bangkok’s best five-star hotels offering resort style accommodation with wonderful river views in a romantic setting. 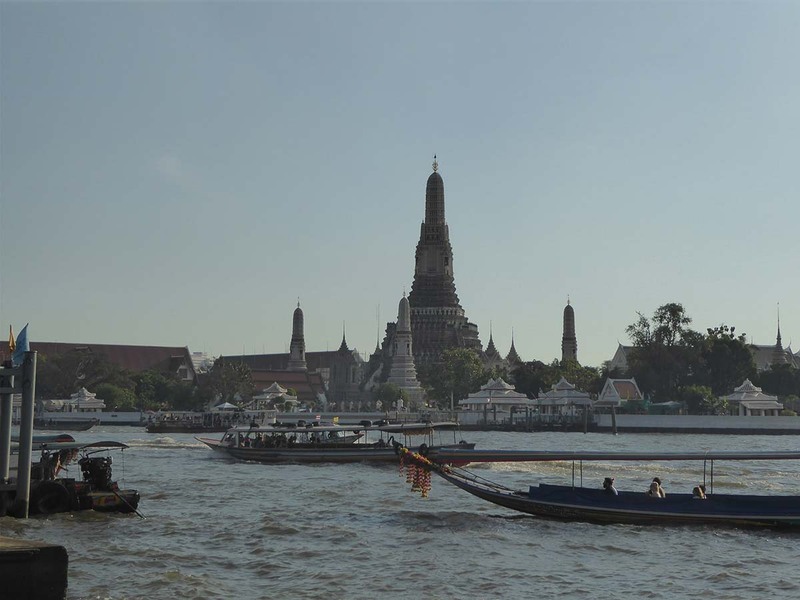 Bangkok’s most famous sights such as the Grand Palace, Wat Pho, and Wat Arun are a short riverboat journey away. The new Iconsiam mega mall provides shopping therapy & the malls of Ratchaprasong are easily reached by BTS. Riverside Bangkok can be quiet at night. 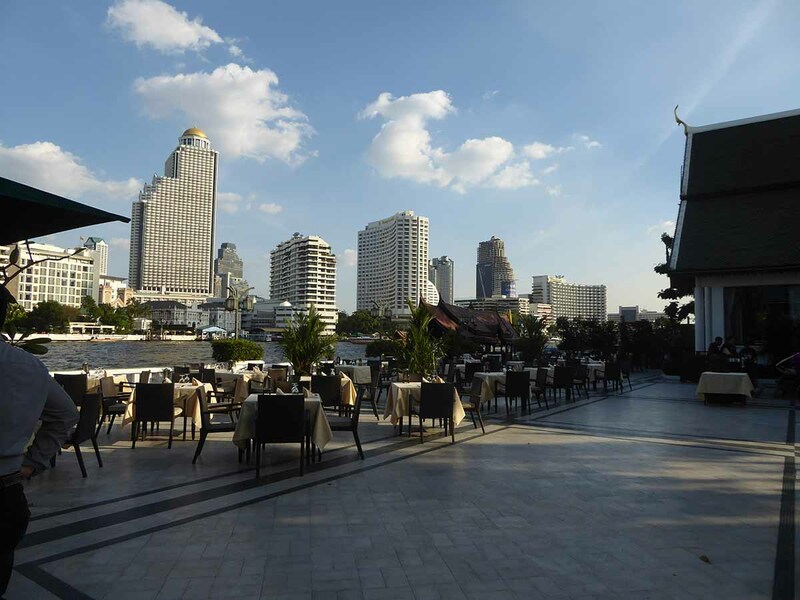 However, there is some top quality rooftop/riverside bars & restaurants with views of Wat Arun and more. 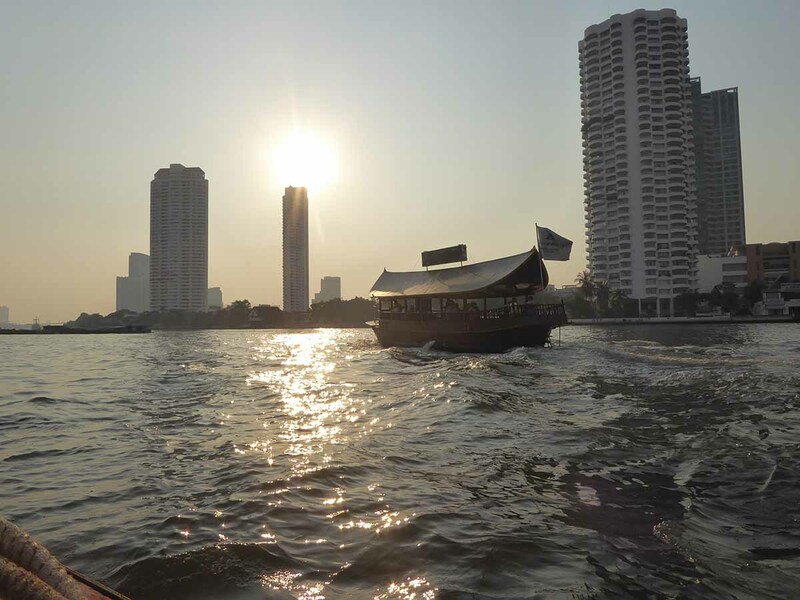 The Silom and Sukhumvit nightlife areas are easy to reach by taxi or BTS and there are free shuttle boats to Asiatique. Accommodation wise there are some good hostels for budget travelers while some of Bangkok’s most renowned hotels are here including the Oriental, Peninsula, Royal Orchid Sheraton, and Shangri-La. The transport facilities for Riverside Bangkok are good with a BTS station at Saphan Taksin. The Chao Phraya Express Boat calls at piers along the river. All the top hotels provide complimentary minibus and boat shuttle services to the BTS and local attractions such as Asiatique.